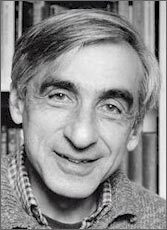 Michael Walzer, a leading American political theorist, has been a professor of Social Science at the Institute for Advanced Study, Princeton, New Jersey, since 1980. Walzer has written about a wide variety of topics in political theory and moral philosophy: political obligation, just and unjust war, nationalism and ethnicity, economic justice and the welfare state. He has played a part in the revival of a practical, issue-focused ethics and in the development of a pluralist approach to political and moral life. He is currently working on the toleration and accommodation of "difference" in all its forms and also on a (collaborative) project focused on the history of Jewish political thought. Walzer received his B.A. from Brandeis University in 1956 and attended Cambridge University on a Fulbright Fellowship from 1956 to 1957. He received his Ph.D. from Harvard University in 1961. Professor Walzer was Professor of Government at Harvard University from 1966-80 and an assistant professor of Politics at Princeton University from 1962-66. He has served as a member of the Board of Governors of the Hebrew University of Jerusalem since 1974. He has been co-editor of DISSENT since 1976 and a contributing editor of THE NEW REPUBLIC since 1977. Among Walzer's books are: ON TOLERATION (1997); WHAT IT MEANS TO BE AN AMERICAN (1993); THE COMPANY OF CRITICS (1988); EXODUS AND REVOLUTION (1985); SPHERES OF JUSTICE: A DEFENSE OF PLURALISM AND EQUALITY (1983); THE POLITICS OF ETHNICITY (1982); RADICAL PRINCIPLES: REFLECTIONS OF AN UNRECONSTRUCTED DEMOCRAT (1980); JUST AND UNJUST WARS: A MORAL ARGUMENT WITH HISTORICAL ILLUSTRATIONS (1977); OBLIGATIONS: ESSAYS ON DISOBEDIENCE, WAR AND CITIZENSHIP (1970); THE REVOLUTION OF THE SAINTS; A STUDY OF THE ORIGINS OF RADICAL POLITICS (1965).